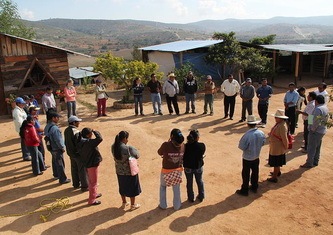 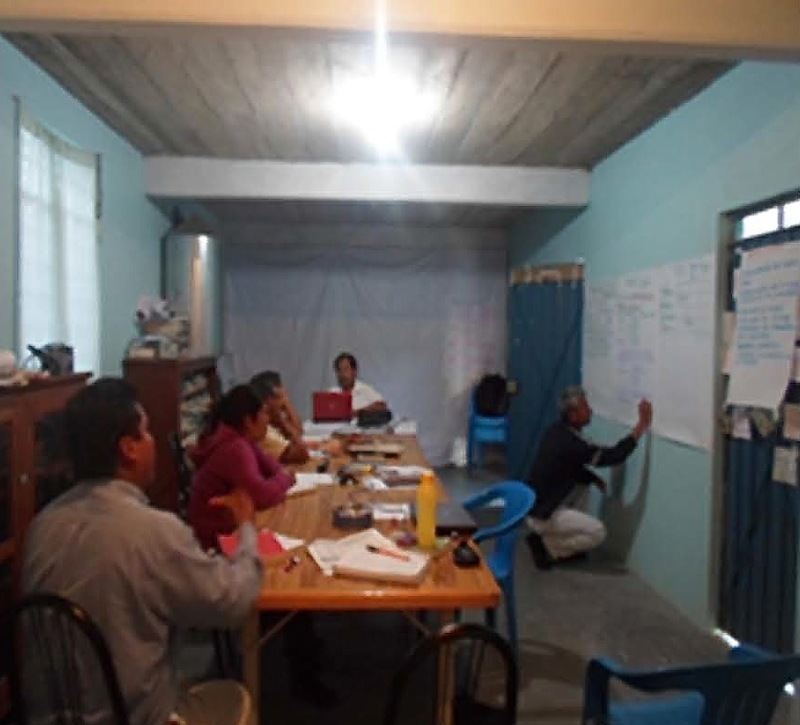 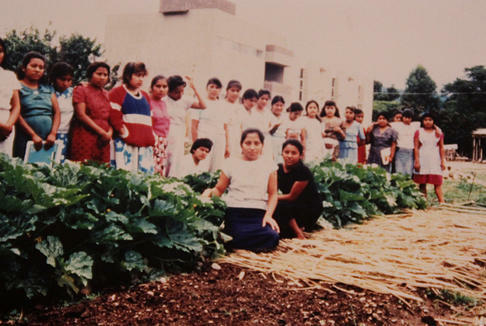 The Center for Integral Campesino Development of the Mixteca (CEDICAM) was established in 1983 to rescue the traditional and sustainable farming methods of the Mixteca Alta region in the state of Oaxaca, the second poorest state in Mexico. The organization also works to preserve the traditional culture of the region, promoting life in the countryside as an alternative to migration to the city or the United States. 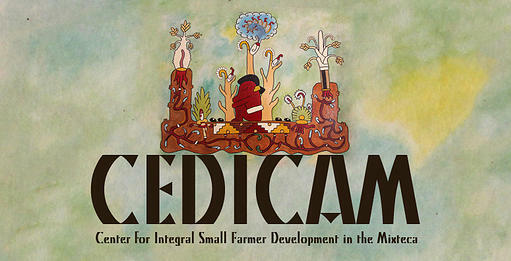 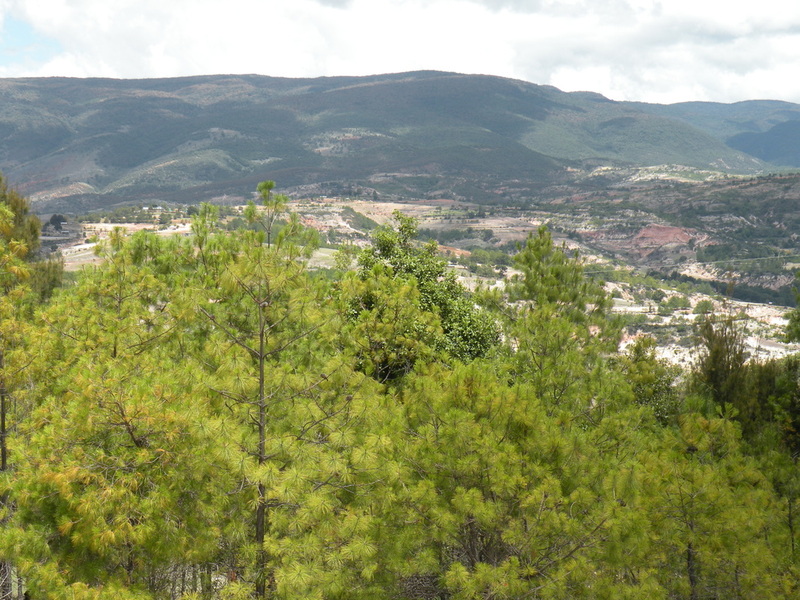 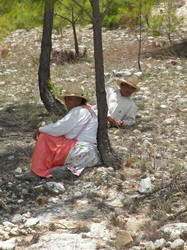 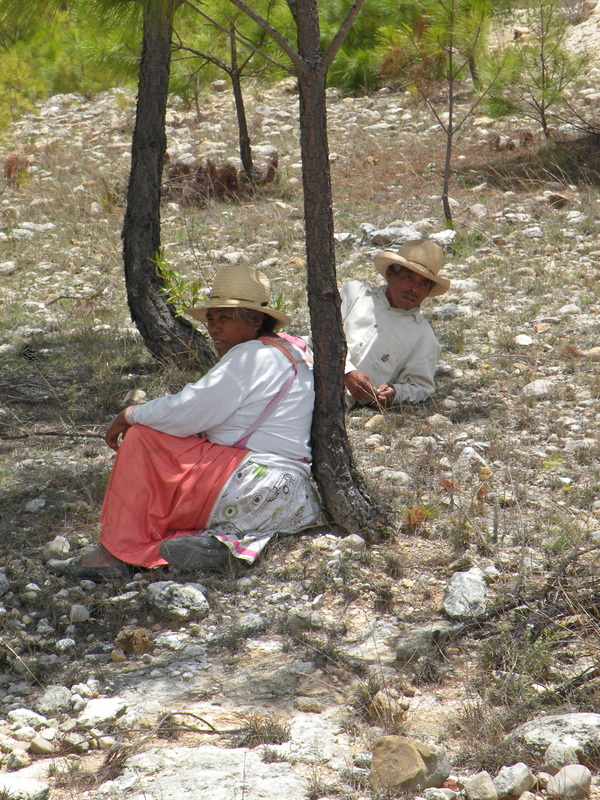 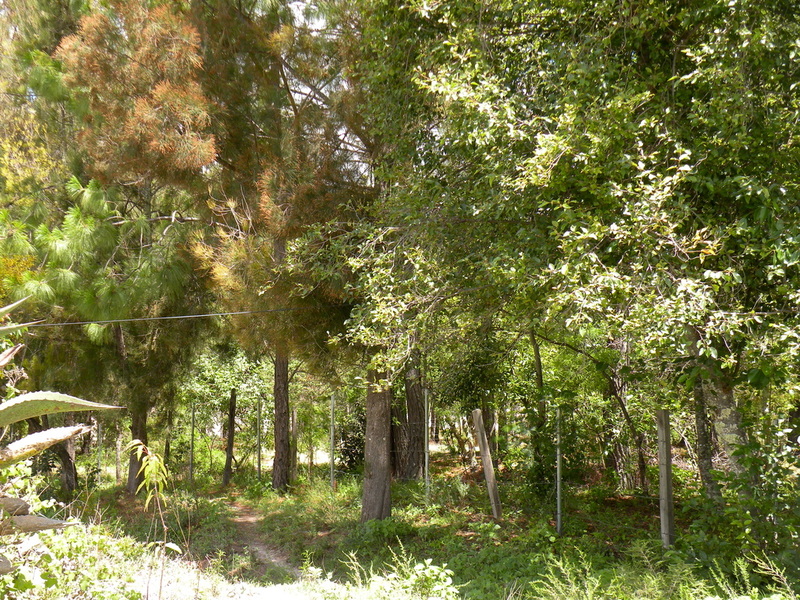 CEDICAM has focused on reviving traditional Mixteca sustainable farming methods to restore local ecosystems. 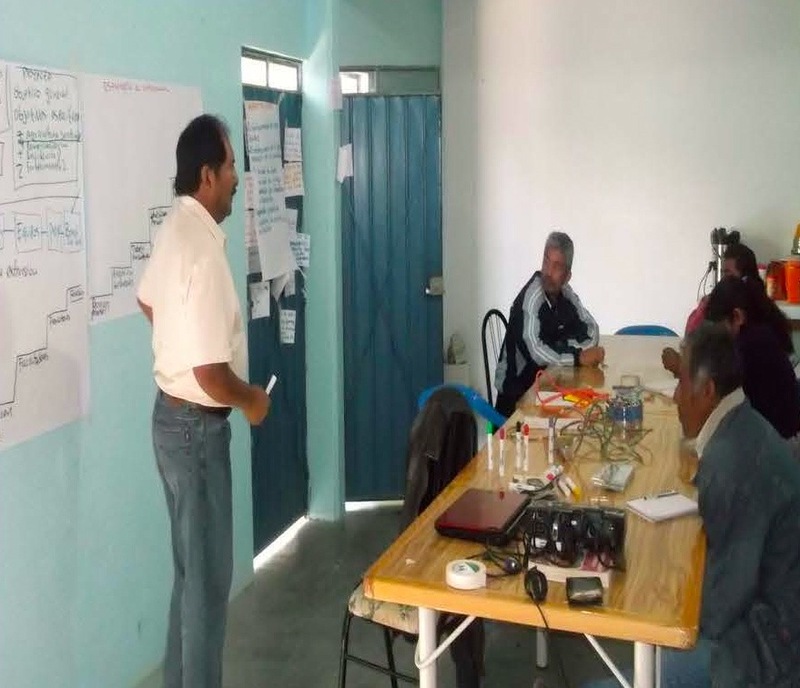 The organization applies solutions on both personal and regional scales. On a personal level, CEDICAM trains farmers to produce their own organic fertilizers, use natural pesticides made from local plants, and plant the traditional 'milpa,’ which integrates diverse crops together with corn to be more productive and sustainable. Also, local farmers have returned to the practice of saving their own seeds, ensuring independence from international corporations, and protecting the area from GMO crops. 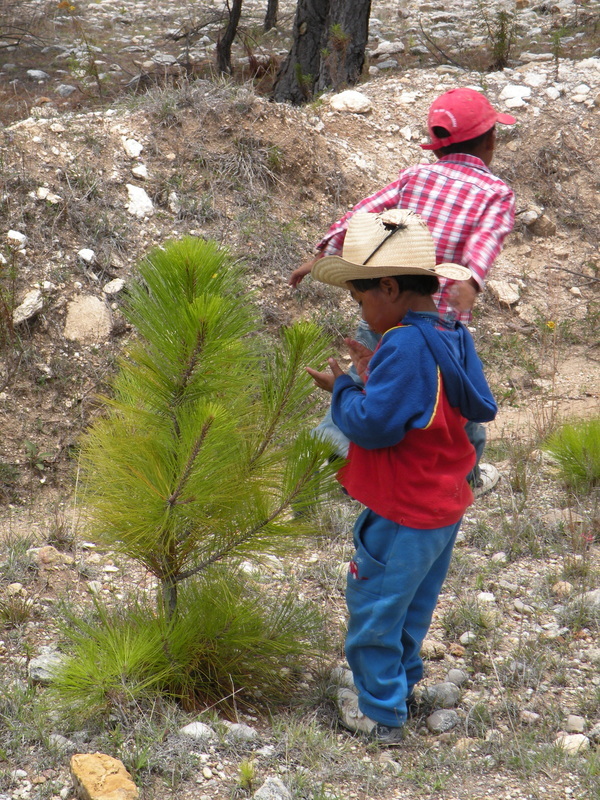 By working closely with local communities over a thousand hectares have been reforested, planting more than one million trees. These trees hold the soil, stopping erosion, and capture water that fills the groundwater reserves. 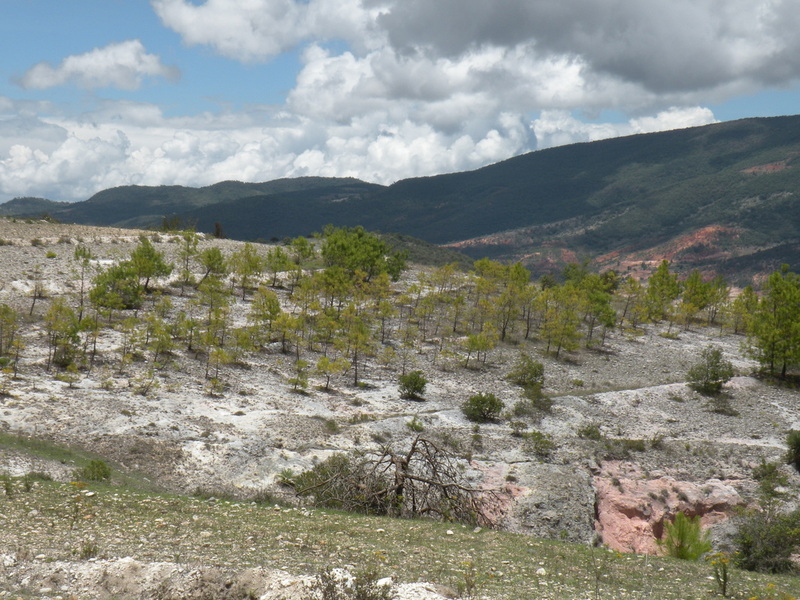 They have also built stone walls (gabions) on a massive scale in streams, many agricultural terraces, and hundreds of miles of swales, capturing a huge amount of water in the environment, supporting reforestation and increasing the productivity of farming plots in the region. 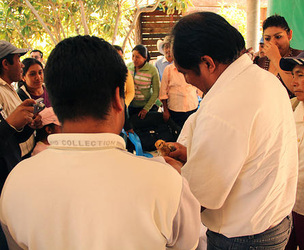 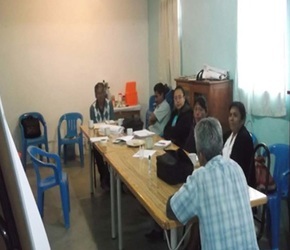 CEDICAM has been led in these efforts by Jesus Leon Santos, a Mixtec Indian who helped to found the organization in 1983. 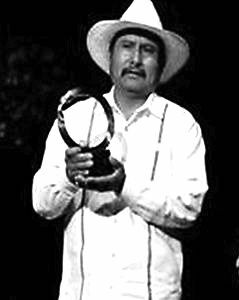 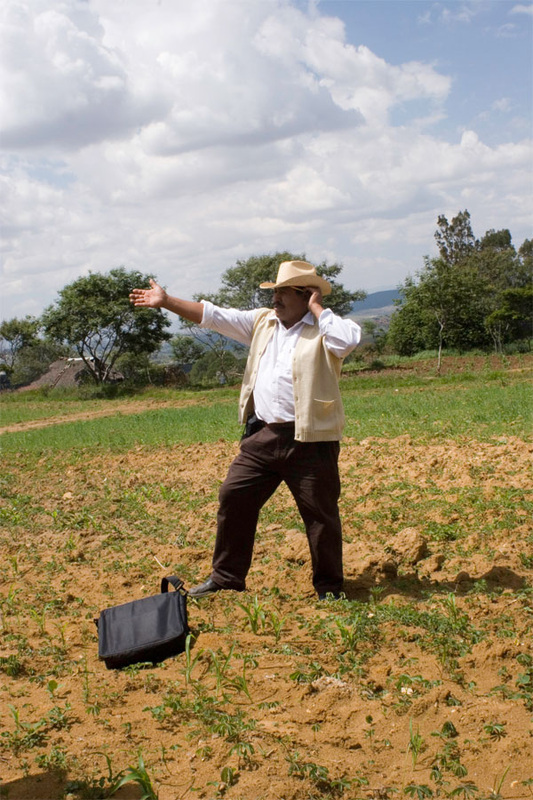 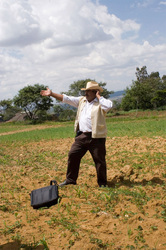 As an indication of CEDICAM’s success, Santos received global recognition as a pioneering environmental activist when he was one of six recipients of the Goldman Environmental Prize in 2008. 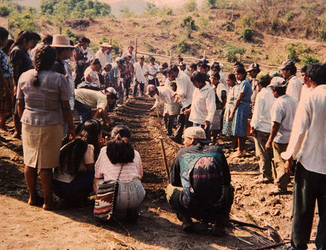 The Goldman Prize is one of the most esteemed awards in the global environmental movement. 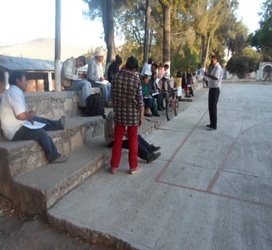 Project Description: Because of a lack of local surplus production, agricultural products for sale in local markets have come almost entirely from outside the Mixteca region. 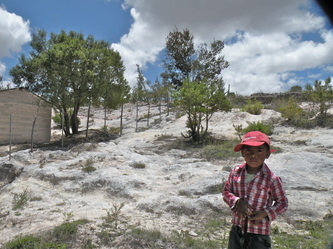 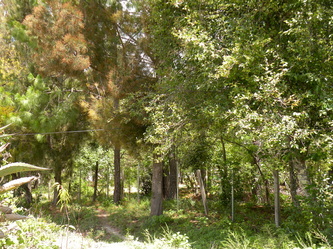 This project builds on the success of the improved water retention techniques promoted by CEDICAM that has created a greater possibility for surplus production. 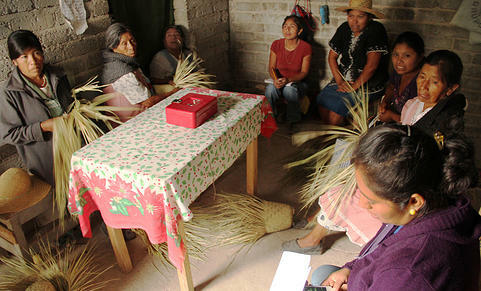 This project funds creation of a cooperative to produce and market products on a weekly basis. It includes the participation of 12 communities with whom CEDICAM has previously worked. farmers, and 2) to identify which communities and families could most productively participate in the local markets. 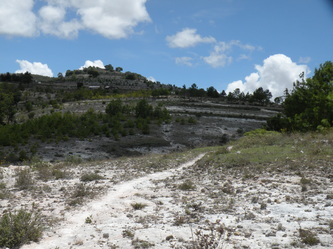 The project experienced a number of delays, including because of late seasonal rains in 2013. But by early 2014, a locale was opened in Santiago Tilantongo with much fanfare and with considerable success. 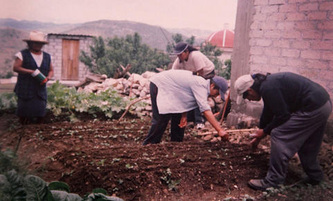 A second locale is in the works. 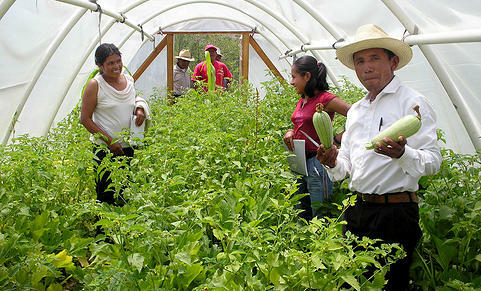 CECICAM comments, "Although people had talked for years about opening a market for locally-produced products, the important thing was to get started. 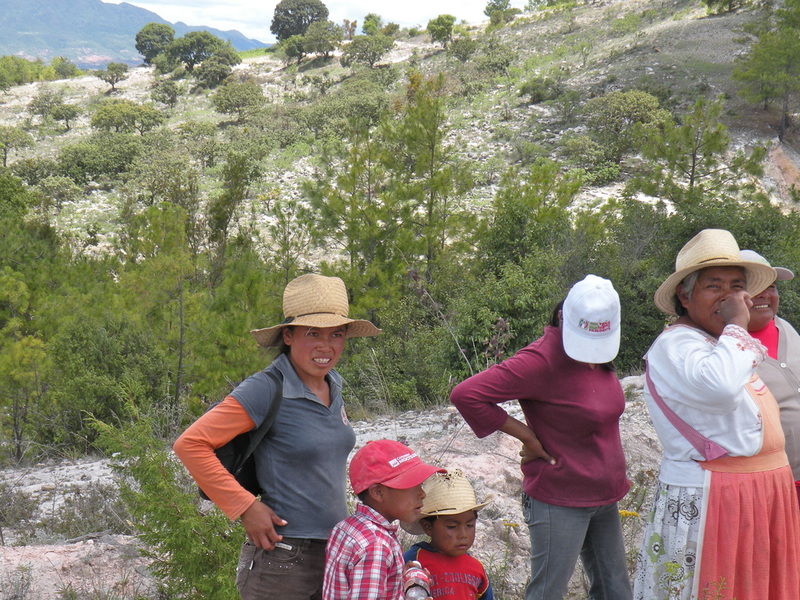 The "Marketing Indigenous Peasant Products in the Mixteca" project, with the support of IF and the Maguire Fund, has made this possible." "transforming a dead landscape by planting trees".